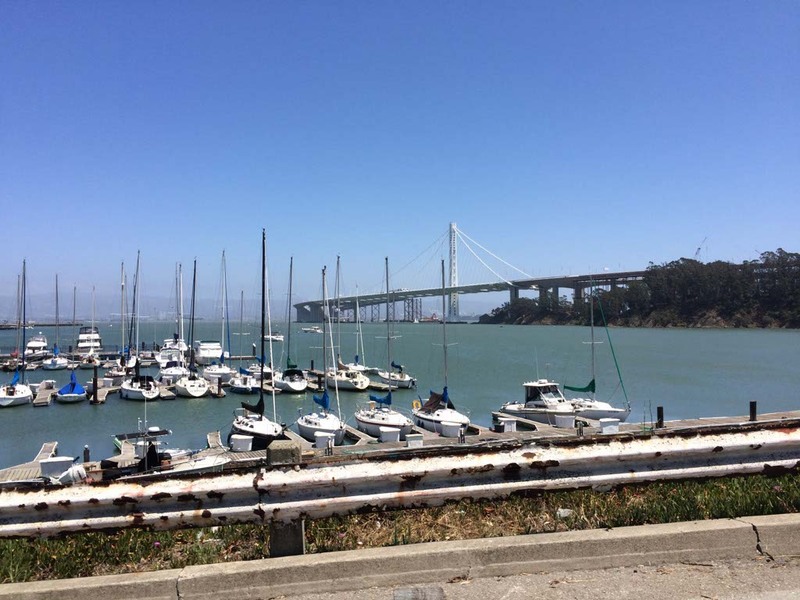 Treasure Island, a California historic landmark, is a man-made island connected to Yerba Buena Island which is located right in the middle of two spans of the Oakland-Bay Bridge in the San Francisco Bay. The island was created for the World’s Fair in 1939. After the fair, the island was slated to be used as an airport for the Bay’s Pam American World Airways. (Sea Planes…cool huh?) The island was ultimately owned by the United Sates Navy. 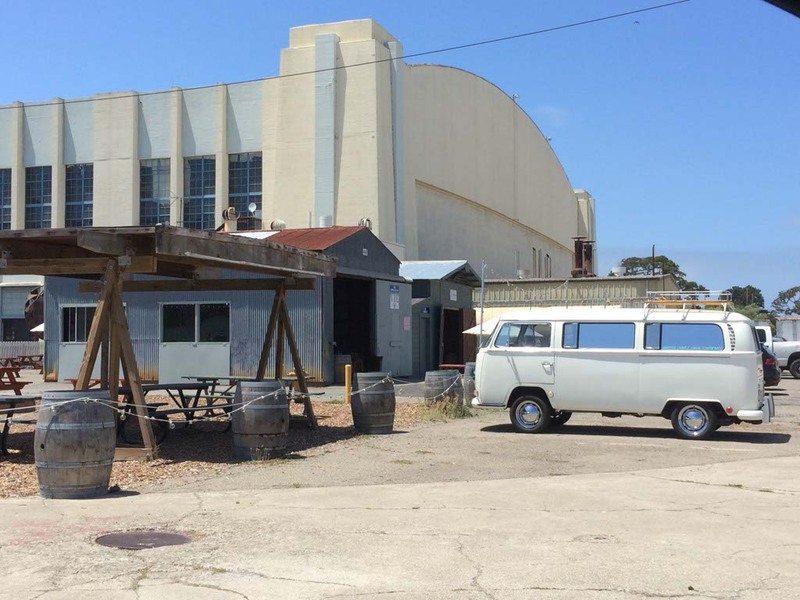 Treasure island is a mix of buildings left over from the fair, from the naval base, infrastructure buildings like a water treatment plant, and housing. It is clear that an ingenious group of hardy souls are trying their best to re-image the island by adding art installations throughout, introducing sports facilities, and even wine tasting rooms. The island boats playing fields for baseball, lacrosse, soccer, and other field sports. I am told they even have a weekly Picker’s fair. There is no doubt the view in any direction from this island is a billion dollar view. Not a million, I said a billion dollar view! One direction boasts the east bay and the bay bridge, the other direction Angel Island and Alcatraz, and the third direction looks towards Pier 39, Giant’s stadium, and downtown San Francisco. I just watched the movie San Andreas so it was hard to look at San Francisco in every direction whilst standing on a piece of land slated for liquefaction and/or tsunami when the big one hits. I kept Dwayne Johnson on speed dial but managed to make it through the day without a tremor! The island is random. Much of it is dilapidated. Much of it doesn’t make sense. Large buildings are boarded up and forgotten. Other buildings are re-purposed. Many buildings are historic with art deco styling. And some areas look like hipsters have taken over and are forcing something to happen. Signs on the island direct visitors to the tsunami zone while other signs warn you of potential radiation impacts should you venture past their gates. The island seems like the perfect place for a murder mystery. 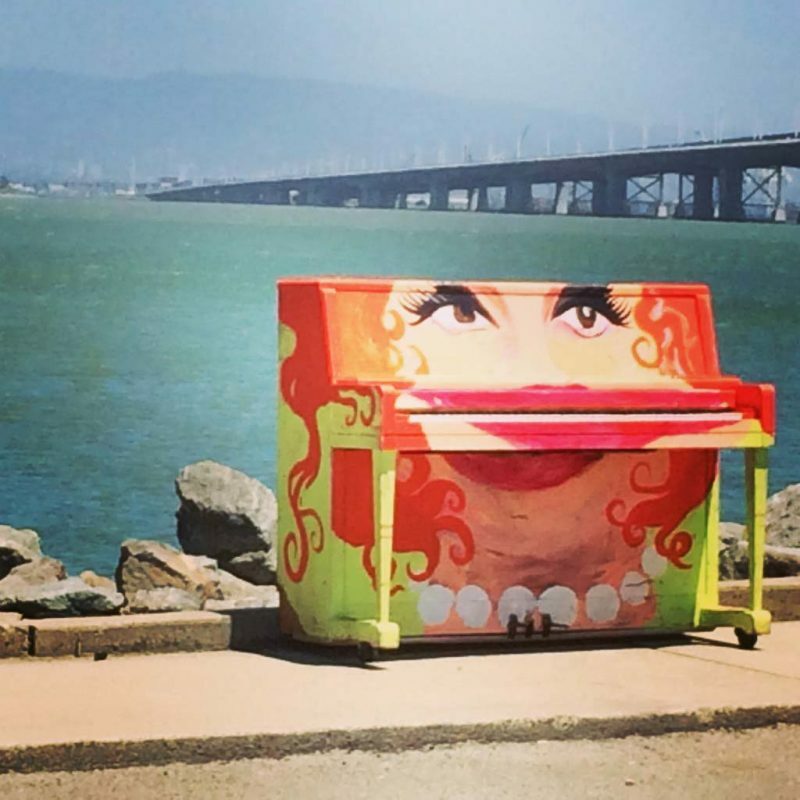 While we were there for a few hours, I found a painted piano staring out longingly over the bay. We ran across a junior high school lacrosse tournament. And, we watched a motorcycle stunt team practicing and recording their moves. None of it made sense but we loved it anyway. 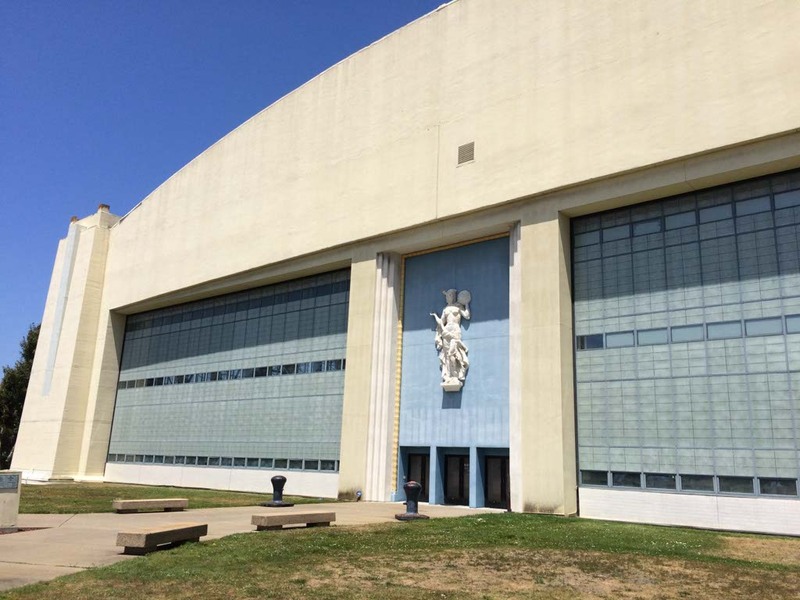 It turns out lots of movies have been filmed there likely because of the view and proximity to “the City.” Matrix, Indiana Jones and the Last Crusade, Flubber, Patch Adams, Parents Trap, Caine Mutiny, Nash Bridges, and Battlebots to name a few. Would I recommend this place for a visit? Definitely for locals or people who are going to spend a lot of time in the area. But, if you only have a few days, a weekend, or a short time in San Francisco, just pass the turn off and wave as you drive by while you head to one of the most amazing cities on earth… San Francisco. Sounds fascinating – I’d never even heard of it! I love those kinds of places, though, which are sort of falling through the gaps. They make for such interesting places to explore. So many places are developed within an inch of their lives, that it’s always exciting to find somewhere that still has a bit of uncertain dilapidated charm. 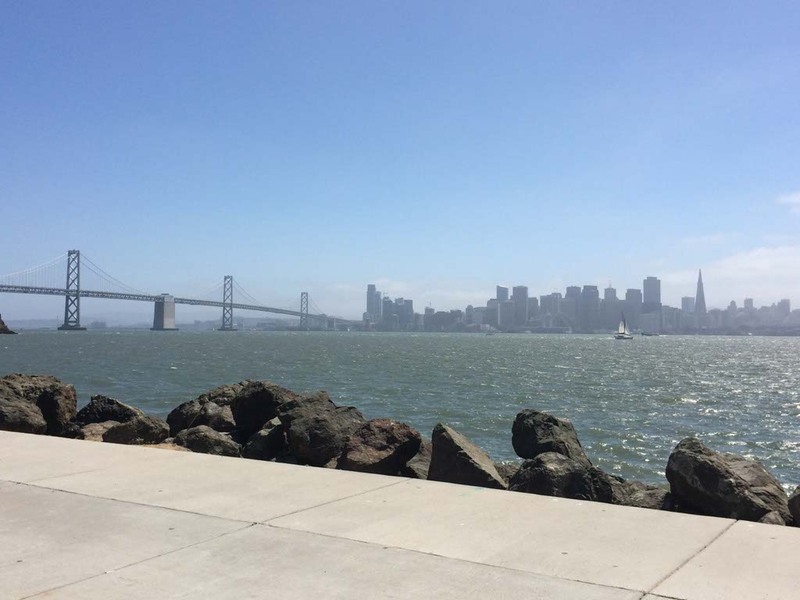 I always tell out-of-town visitors to plan their trip to SF for the last Saturday and Sunday of every month, since that’s when you can enjoy Treasure Island Flea! Beautiful photos. I found one of the pianos in Melbourne.My friend is a musician and he sat and played. Jenny, this is a great post! Treasure Island sounds like a place I would get a total charge out of: totally random, unexpected and inexplicable, yet fun. I can’t help but think with a little bit of dread about the exotic and dangerous Treasure Island in Disney’s Pinocchio.